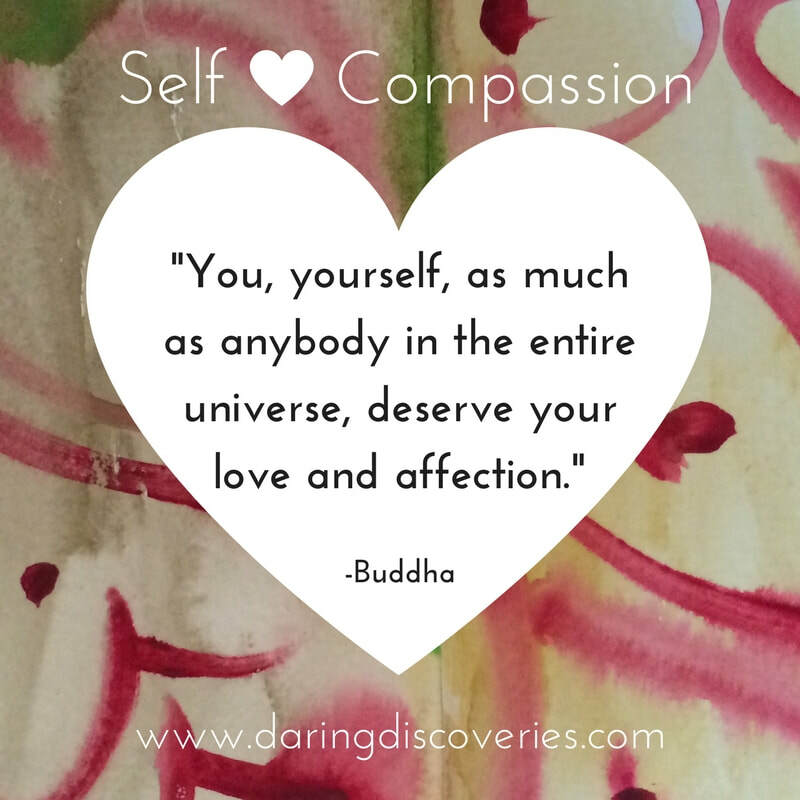 Ready to uncover and strengthen your compassionate self-talk? Thanks to a lot of great research by professors such as Kristin Neff and Brené Brown, we know that positive, life-long changes can occur when we replace our self-critical talk with self-compassionate talk. Even if you know how to be loving to yourself through words and actions, do you take the time to care for your self and your soul? 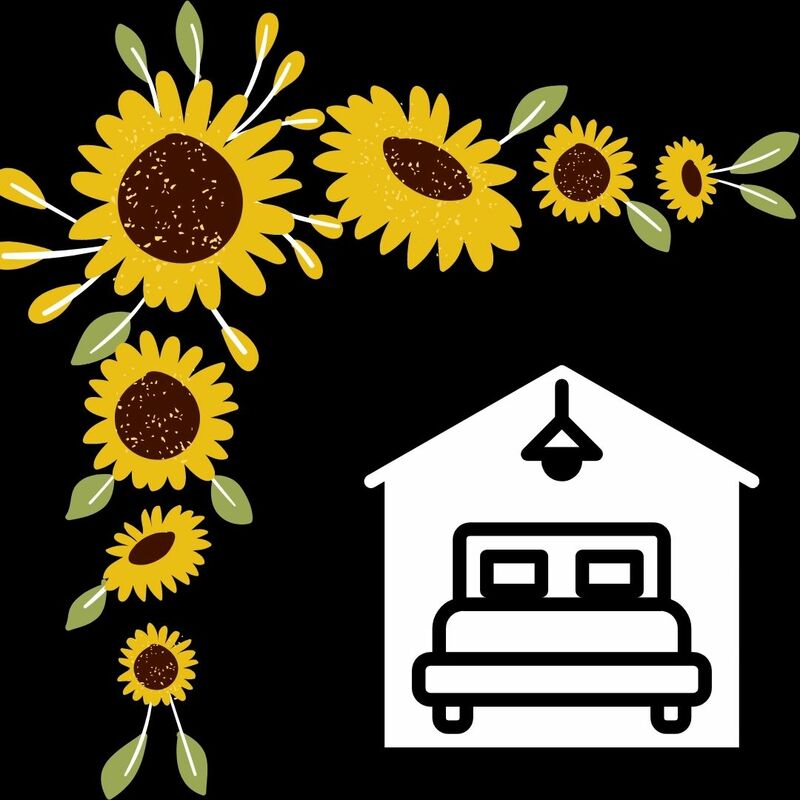 Consider this a mini-retreat and join in for a day of self-love practices. This will be a WHOLEHEARTED experience in loving your body, mind, and spirit. 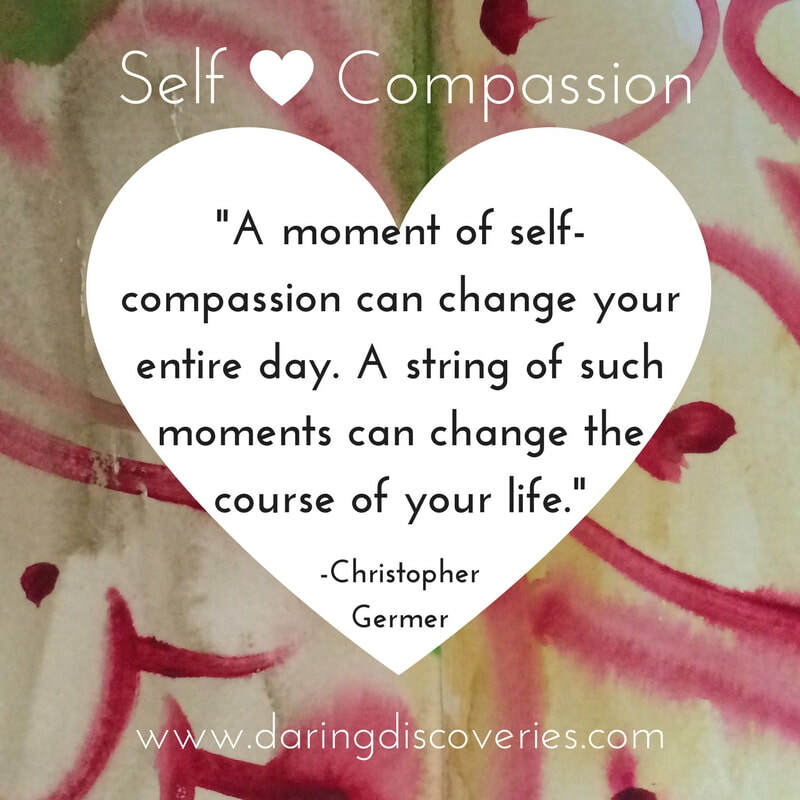 Becoming self-compassionate is a process. I was not a self-compassionate person. The main thing that got me into it honestly, was when I learned that the being mean to yourself just doesn't work. It doesn't help you make lasting changes with your habits. In fact it sabotages things. Knowing that information sold me on wanting to try a more self-compassionate approach, but then how is that change actually made? 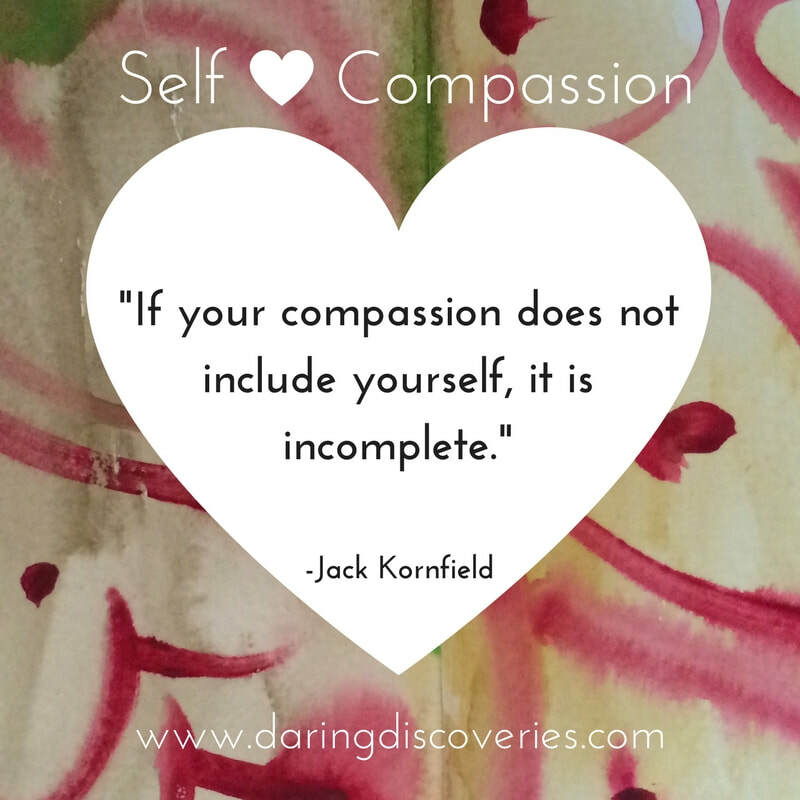 That's why I started the annual Self-Compassion Saturday in 2016. There are some exercises and practices that really do help you learn how to change. You can find/strengthen your own authentic self-compassionate voice (it does exist, I promise you, and it sounds different for everybody). These will be tangible specific exercises, and you will be practicing them that day. You can take them with you and I hope they will become frequently used tools on your journey. Even if you are somebody who is good at this sort of thing naturally, are you good at taking time just for you? That's also what this day is about; nurturing yourself. Along with the practices there will be things to help fill you up again - body, soul, and mind. This will be a special day and I can't wait to share it with you. I know that takes a lot of planning and scheduling to do, but I hope you will gift yourself with a day. "I really enjoyed your Self-Compassion workshop. It was such a treat to take that time for myself. I'm already using some of the techniques you showed us to relieve my inner critic and hopefully live with more peace and grace. I appreciate the thought and work you put into the day, and I'm looking forward to future classes." If you can't attend Self-Compassion Saturday or are just ready for a deep dive, I wrote Rooted in Love: A 40-day practice of growing self-compassion in your life and planting seeds of compassion in the world for you! In it I share authentic, inspiring stories from my personal self-compassion journey, as well as unique tangible ways to practice nurturing love for yourself and for the world. I hope it will be a friend to you on your journey and you can grab it in paperback or e-book at Amazon. I'd love to root you on so if you share online tag #rootedinlovebook so I can send some encouragement your way! You can also find resources for the book on Daring Discoveries' Facebook or Instagram or at The Rooted in Love Book Page. ​Pictures from Past Self-Compassion Saturdays!